Yellowcard have announced they will be heading out on tour across North America this fall in support of their new album, which is titled Lift A Sail. A message from the band confirming the news as well as the full tour routing can be found below. 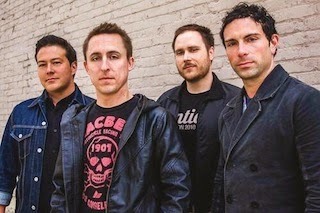 Yellowcard's ninth studio full-length will be released this fall via Razor & Tie Records. Pre-sale tickets and VIP Meet and Greet packages will be on sale August 5th and regular on sale starts August 8th. More information can be found here.